Thousands of people have climbed all 48 of New Hampshire’s 4,000-footers. Very few have tagged them all in one single continuous hike. In a recent post on SectionHiker.com, Philip Werner muses on the “White Mountain Direttissima.” The premise is simple: Summit all 48 of New Hampshire’s 4,000-foot peaks in one continuous hike without outside support. The trip must be done entirely by foot, carrying all supplies for the entire journey—no food resupplies, no car shuttles. Planning a Direttessima presents some interesting challenges. The summits are unevenly distributed, with several distant outliers (Moosilauke, Cabot, Passaconaway, etc.). 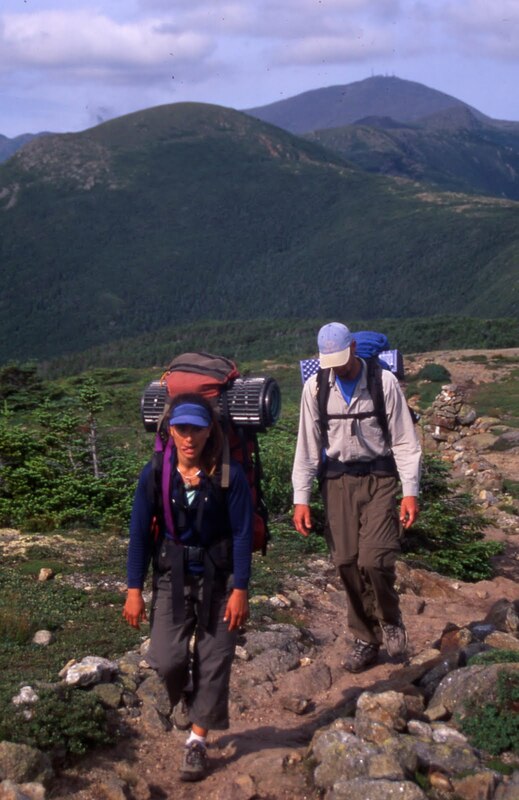 Your pack is heavy initially but steadily diminishes as you progress, which affects your early and late route selection. You need to figure out where to start and where to end, then determine how many days of food you’ll need for the adventure. Plus you can consider establishing short-term base camps to tag surrounding peaks on long dayhikes. It’s an engaging puzzle to figure out an optimal route and strategy. Roing completed his 2007 Direttessima in 11 days. His route began over Moosilauke and the Kinsman Range, went over Franconia Ridge and around and into the Pemigewasset Wilderness, headed south to the Sandwich Range, back north to the southern Presidentials and Mount Washington, east to the Carter Range, and then completed one last leg north over the northern Presidentials and on to the final peaks of the Kilkenny Range. Interested in planning a Direttissima? For a quick survey of the possibilities, I recommend AMC’s White Mountain National Forest and Guide (freshly updated in 2011), which covers nearly the entirety of the White Mountains on one side (the northern Kilkenny Region is on the other side). It also conveniently indicates the 4,000-footers, making it easy to spot them as you trace potential routes.